Last week, Engine participated in the Securities and Exchange Commission’s (SEC) 34th annual Government Business Forum on Small Business Capital Formation, where industry and government experts shared their perspectives and made recommendations on capital access issues for small and emerging companies. A lot has happened since the last forum in 2014. In March, the Commission adopted rules to implement Title IV of the JOBS Act, also known as Reg A+, which allows private companies to raise a limited amount of capital without having to meet many of the onerous disclosure and reporting conditions required of publicly-traded companies. 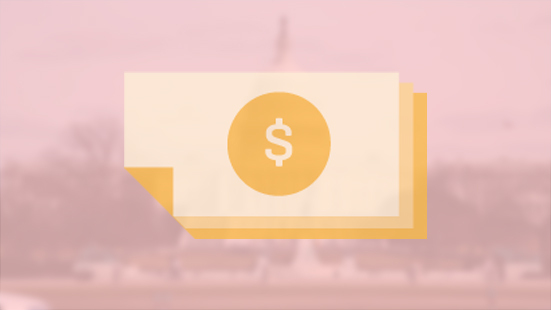 And just last month, the Commission finalized crowdfunding rules that will allow startups to raise capital from everyday investors over the Internet, marking the completion of the Jumpstart Our Business Startups Act (JOBS Act) rulemaking process. While it will take time to assess the impacts of these newer rulemakings, the SEC and other stakeholders have been closely monitoring other developments in small business capital markets to help glean lessons to guide future Commission policy. In 2013, the SEC lifted the ban on general solicitation, allowing companies to publicly advertise that they’re raising money. AngelList, a leading equity crowdfunding portal for accredited investors, allows issuers on its site to use general solicitation. However, AngelList’s COO Kevin Laws noted that in the past six months, only two percent of deals on the platform took the public, general solicitation route. The other 98 percent were limited to a private list of investors. The use of Reg A+ has also been tepid since becoming effective in June. While the SEC has not yet compiled comprehensive data on the impact of these rules, Sara Hanks, CEO of Crowdcheck, reported that she has seen only around 25 filings of variable quality. She attributed this lackluster showing to a number of factors (it takes a long time to do a Reg A+ filing and the rules are still relatively young), but emphasized that state-level registration requirements for companies seeking less than $20 million are a huge deterrent. We have expressed concerns about this and echo Sara’s wish list for improvements to the coordinated review process, a single filing form, and a single payment process. Each of these changes would simplify the Reg A+ process and incentivize participation by small and emerging companies. Finally, participants were eager to discuss the Commission’s most recent rulemaking: investment crowdfunding for non-accredited investors. While the rules will not be effective until May 2016, stakeholders (including Engine) are already advocating for modifications to ensure the crowdfunding market achieves its full potential. One improvement recommended by Kevin Laws was to allow non-accredited crowdfunding investors to participate in alternative investment vehicles like the syndicates common on AngelList. Syndicates, which have been enormously successful in the accredited crowdfunding market, allow for known investors to create funds in which other investors can participate, allowing less experienced investors to benefit from an insider’s expertise (for a more detailed explanation of how they work, see AngelList’s FAQs). Under Title III of the JOBS Act, syndicates, funds, or other special purpose vehicles (“SPVs”) are not eligible for the crowdfunding exemption due to limits on which entities can raise capital through non-accredited crowdfunding. But as we’ve argued, syndicates and other SPVs allow for additional investor protections and portfolio diversification while simplifying the fundraising process for issuers. Congressional action on this piece would make investment crowdfunding in the U.S. safer and more profitable for non-accredited investors. As the impacts of the JOBS Act are realized, we will see both successes and failures. And importantly, modifications will need to be made. The early, meager response to both general solicitation and Reg A+ should not discount the enormous potential they represent. Instead, it should incent policymakers to pursue solutions that will improve upon the statute and regulatory framework. It is important that constructive conversations like those that took place at last week’s forum continue. A dialogue between those on the ground and those in government is essential to realizing the the original intent of the JOBS Act: facilitating access to capital for innovative entrepreneurs to launch tomorrow’s startups, create jobs, and drive economic growth.